Indian Motorcycle seems to have found its niche in India and has been quick to introduce products soon after their global launch in the country. Introducing its fourth motorcycle for the year, the Polaris-owned bike maker has launched the 2016 Indian Chieftain Dark Horse priced at ₹ 31.99 lakh (ex-showroom, Delhi). The Chieftain Dark Horse is the blacked out, matte finished iteration of the bagger and adds to the company's illustrious line-up of premium cruisers. 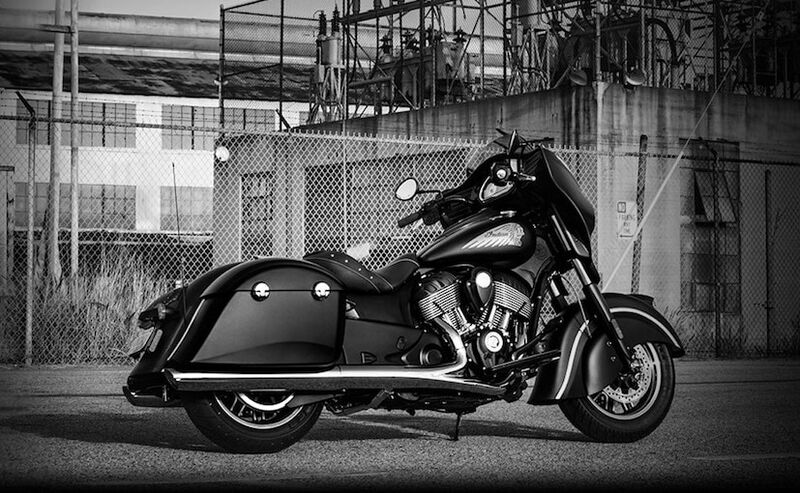 Much like the Chief Classic and its Dark Horse equivalent, the 2016 Indian Chieftain Dark Horse is based on the Chieftain and is shares the same mechanicals as the standard version. The cruiser though gets cosmetic enhancements for that stealth black look with matte black paint job replacing most chrome bits. So you get matte black finished fairing, fuel tank and fenders. That said, even the headdress, forks, rearview mirrors, handlebars and switches; turn signals, tank console, engine and air box cover, lower controls, floorboards and taillight housing are completely finished in black. 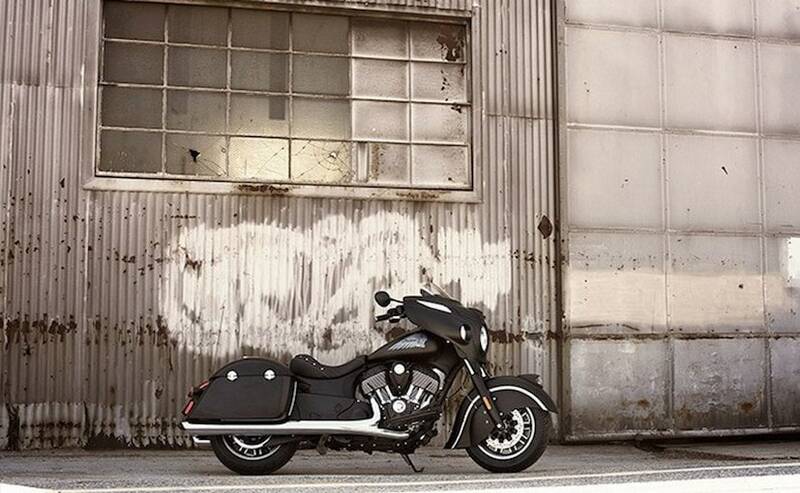 With an intimidating presence on road, the Indian Chieftain Dark Horse does get distinctive chrome bits like the 2-in-1 exhaust, and single pinstripe on the fenders that complement the cruiser really well. It's really difficult to keep your eyes off this one. With respect to power, the 2016 Indian Chieftain Dark Horse uses the 1811cc V-Twin Thunder Stroke 111 engine that is capable of belting out 73bhp of power and 140Nm of torque. Power is sent to the rear wheel via a 6-speed gearbox. With the underpinnings being the same as the Chieftain, you continue to get 46 mm front forks, disc brakes at the front and rear, while the fuel tank capacity stands at 21-litres. The cruiser weighs a hefty 300 kg. Other salient features include a power windscreen, 7-inch touchscreen infotainment cluster that displays real time clock, ambient air temperature, and also gives you access to the integrated premium audio system. 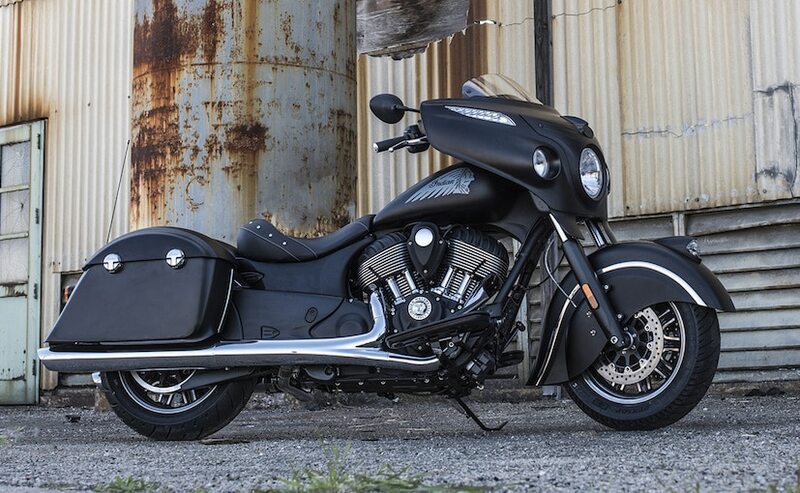 You also get ABS, cruise control, remote key fob with keyless ignition and spacious hard bags as part of the kit on the Indian Chieftain Dark Horse. Indian Motorcycle only recently introduced the new Springfield in the country, while it kickstarted the year with the launch of the Roadmaster. Meanwhile, the company's most affordable offering - Scout Sixty - was also introduced this year priced at ₹ 12 lakh (ex-showroom, Delhi). Clearly, the Indian market is important to the legendary American bike maker, which could prompt company fast track its plans to locally assembled models in the near future.